As soon as I started Grant Clauser’s latest collection of poems, Reckless Constellations, I thought to myself, Wow, I know this place. This place is a landscape filled with beer-can littered woods, second-hand stores, and haunted back roads. But it’s also a place populated by snipe hunters, little boys who find themselves in engaging in both harmless mischief and more serious trouble, and women, some who kill snakes and even one who is gutsy enough to grab an electric fence with her hands. This is a place I know well – and that is because Clauser lifts stories from life in rural Pennsylvania, a world that I explore in my own poetry. At first glance, Clauser’s book may be seen as a writer’s nostalgic view of rural life. But it’s not. There is an undercurrent of despair and violence in much of the work. But more importantly, it’s a collection filled with an unsentimental determination to find both peace and happiness, even if both are tucked away in grassy lots, old rust cars, and cow pastures. 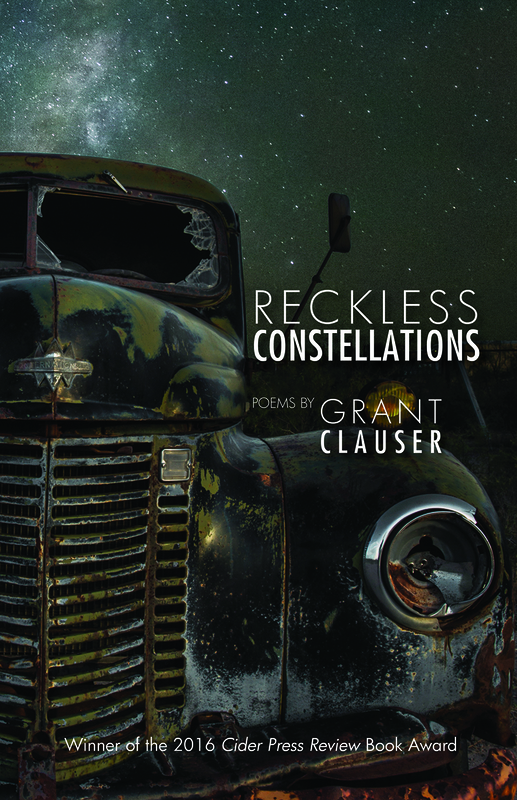 Interview with Grant Clauser, author of Reckless Constellations. This is your fourth collection of poetry. Could you talk a little bit about your personal history with poetry? Does Reckless Constellations have any similarities or differences to your past works? Explain. I started liking and writing poetry when I was in middle school and first encountered Edgar Allan Poe’s “The Raven” for an English class assignment, then I got serious about poetry in college. My first book didn’t come out until I was in my early 40s, so there’s was a lot of time in between in which I hope I was working to get it right. Interestingly, the timeline in Reckless Constellations begins at about the time poetry began for me, in my early teen years, so now I’m thinking I wish I had including a poem about that, something about reading Poe in my woods. This book is similar in tone and style to my other books. One section follows a group of recurring characters based on people I grew up around when I was a teenager. That was sort of a preservation act. I wanted to make sure that time period and the things we did and feelings we had would be preserved in some way. Even if no one else connects to them or cares…I cared, and so that project was important to me. I think everyone tends to create a personal mythology about their past, the events that formed them, and I just wrote mine down. Much of the rest of the book tells stories about family or events and places close to me, but I hope it’s the approach to language, how the poems work, that appeals to readers. Reckless Constellations is very much rooted in place. What is this place? Could you talk about the importance of place in your poems? A lot of it is very much a Pennsylvania book. Except for two years in Ohio as a grad student, I’ve lived all my life in Pennsylvania, so the people and landscapes fill my writing. Some of it is suburban, where people plant gardens and try to keep the wondering deer away from the tomatoes, and some of it is the formerly industrial towns like Catasauqua, where my grandparents are from, and some of it is the hills and creeks where I fish and hike or camp. The place that defines you, where you grew up or where you associate yourself with, that’s part of your backstory, so it informs most things about you, so that’s why place is such a strong part of my writing. Also landscapes and environments can be metaphorical, so I use them as devices. Each of us is a product of the people and places we inhabit, so I spend a lot of time in my poems thinking about how that happens and how to use it. As a poet myself, I am always interested in how poets arrange their collections. Could you describe your process in arranging your poems in this collection? I always try to break up my books into sections that have some thematic or story link. In this book, as I said above, the first section deals with a group of kids, from about twelve years old through high school. It’s actually about specific real people—each person, Dod, for instance, is a combination of five or six people I know, as are Shelly and Jim. Some of the situations have been changed, conflated or exaggerated so as to better serve the poems. The next section deals with the present, people and places I know now. The final section is a little more random, but pulls together other people’s stories—things I heard about on the news, a few fishing poems, along with some things I just invented. I think of each section as a little chapbook of poems, something that can be digested in one sitting. You include many odes in this collection. Odes, by their barest definitions, are poems of praise or celebrations. Your odes often celebrate “mundane” objects and indeed, every time I read one of your odes, I was reminded a bit of Gary Soto’s “Ode to the Yard Sale.” Could you talk a little bit about why you write odes and why they are important in this collection? I love the ode as a concept and how it’s changed over time. Originally it was a celebration of a hero or leader or someone like that, but contemporary poets have used the ode to elevate anything. I especially like Kevin Young’s food odes in Dear Darkness, which was what got me to write my Scrapple ode. The ode is a great exercise in how to make one subject transcend itself into something else. Thomas Lux does it with “Ode to Scars.” Rita Dove does it with “Ode to My Right Knee.” I taught a little two-day seminar on odes once, and that was lots of fun. In a way, this book, specifically the first section, is an ode to a group of people and a time period. I think of the ode as a form that is defined not by its structure or shape, but by its function, much like an elegy, in the same way that a home is not a home because it’s square or two-storied, but because of what happens inside it. The character of Dod appears in many poems in this collection. Could you talk about why this character is so important in this collection? Dod is both real and invented. He’s a Frankenstein patchwork of several people I grew up around. A lot of poems in that section of the book are sort of like museum displays or dioramas in which I wanted to capture not only a moment in time, but a representation of the time and the motivations surrounding it—and for that I needed to tell stories. People are stories, so finding the right people, the ones that mattered, was part of the process of this book. But I didn’t want to reveal too much, especially since I still know a few of the people involved. So I invented (or enhanced) people, and drew a little from several real individuals. For instance, the event in the poem “Nazareth Road” happened, though not in exactly the same way (I was actually a lot younger), and not to the same person who appears in “Lucky” or “Trigger Warning.” Also, I hoped that using recurring characters throughout the poems would make let the reader get more involved in the poems as a group. Obviously, you are busy promoting this book, but do you have any other current projects? Explain. I’m actually not writing as much lately as I had been. With The Magician’s Handbook and Reckless Constellations coming out so close to each other I haven’t felt the same need to write at the same high pace that I’d been doing the past couple of years. However, I’m really happy with the work that has been coming. I had thought about putting together a chapbook, but I think I’ll just let those poems sit for a while longer. One of the reasons is I feel an obligation to the publishers and to the books to promote them a lot—which means a lot of readings, and I think after this year I’m going to need a break from that. People are going to get tired of me tweeting about events, and I’m going to get tired of driving to places. I really love doing readings, but it’s work too. For a while it was important to me to product a certain amount every week or every month, but I’ve become less obsessed with that. I’m spending more time reading now, making sure I’m caught up with as much of everything as I can. I’d like to do some essay writing, probably focused on some of the workshop themes I’ve done, so I need to carve out a little time for that. 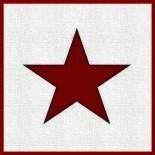 I’m also interested in flash fiction—I’ve done a few pieces, but I need to spend more time learning about that mode. Also, there’s fishing. Every year, I tell myself I’m going to spend more time fishing, and it somehow never happens. This entry was posted on November 4, 2018 by themuseumofamericana.